In the Algarve, your holidays will take on a historical flavour. All around the region, you will find the chance to discover some of the charms and secrets of Portugal's history, which time has not yet managed to erase. Spending your holidays in the Algarve also provides an opportunity for travelling in time, finding numerous testimonies to the different peoples and cultures that have come together throughout the history of this region. The Algarve is the most southern region of Portugal and it's one of Europe's favourite holiday destinations well known for glorious year round sunshine and excellent sandy beaches. These vary from secluded coves with amazing cliffs to vast stretches of golden sand all sea washed by the fresh and clear Atlantic ocean. Inland you will find quaint villages barely touched by tourism. 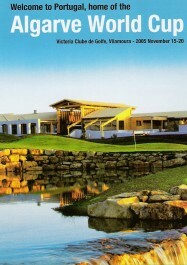 For the second time, on 8 December, the Algarve was voted the “Established Golf Destination of the Year 2006”, having previously won the award in 2000. This title was awarded to the region by the International Association of Golf Tour Operators (IAGTO), gaining preference over such destinations as Andalusia, Arizona, California, Costa Brava, Dubai, France, Valencia, Lisbon and South Africa.